You don’t want to miss Cal4Wheel’s Convention! Guess what? The Cal4 discount room rate will only be available until January 24. Hurry and take advantage of the discount. Be sure to reserve your room(s) under the Cal4 Convention block. Use this link to reserve your room. And just so you know… the Convention site/hotel is easy access off Highway 50. And there’s a Light Rail station right across the street. And there’s a Kids’ Room available during General Assembly and the Awards Banquet. Contact Shirley ( [email protected]) if you have any dirt from our events. Soon. Soon. Soon. Please provide name of trail. At our annual Convention in February we will be conducting elections for association president and association treasurer. Nominations for these positions are being accepted until the day of the election on February 16. Refer to our Standard Operating Procedures (SOP’s) to find out more about what each position entails. 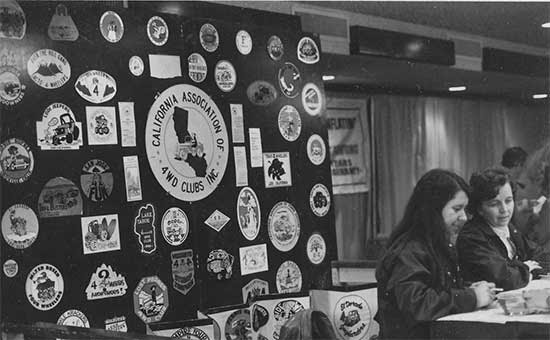 The SOP is available to logged in users at cal4wheel.org. Simply log in, go to the forum and click on the resource library link to download your own copy of the SOP. Please consider volunteering — we need you!! For more information about the positions, contact a board member or download , or to submit your nomination, contact Bonnie at the Cal4Wheel office at 916-381-8300 or [email protected]. 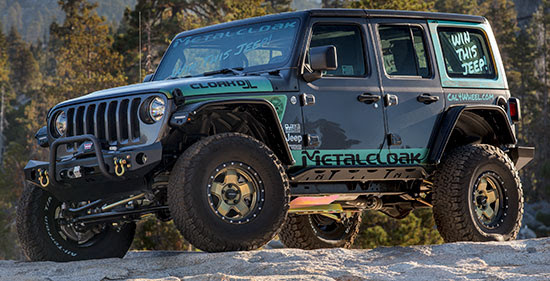 Don’t miss your chance to win a brand new 2018 Jeep JL that has been completely built by MetalCloak and accessorized with donations from our outstanding sponsors. Order your tickets for free online, then mail them back with your donation.